Let me start with a good news: Interview for this position belongs to easy interviews. You won’t have to answer any difficult behavioral questions or technical questions, and you won’t face a tough competition of twenty other job seekers, as it will be the case with many other entry level jobs (bank teller, marketing trainee and similar positions). And what is the bad news? In most cases you will face a practical test in the interview. They will ask you to sit in front of a computer (sometimes you can bring your own laptop, but most of the time you will work with their computer). They will give you a sheet of paper full of data, or they will directly dictate some information, and your task will be to enter them in MS Work, MS Excel, or in any other software they may use in the company. How do you ensure you’ll make no mistakes in your work? You will spend a lot of time in front of a computer in this job. Do you think you can handle that? You will face some questions in your interview for a data entry job (we will look at them in the next paragraph), but the practical test is typically the decisive part of the hiring process. And it makes a perfect sense. Hiring managers can observe a lot of things while you are sweating, entering the data their provided to a spreadsheet. Namely: How fast you can type (this is the most important thing for them), if you understand the software, if you look calm and composed while typing (or nervous and messy), if you make many mistakes, etc. A test is also a great way of comparing job candidates in real time: everyone is assigned the same task, the same set of data. They can easily see who will enter them with great precision, and who will be the fastest, and who will resemble a slow-motion picture. Though you won’t have to deal with extreme challenges in your job, and will work mostly alone, you still won’t be an isolated unit in the company. You will interact with your colleagues, and sometimes also with the patrons you’ll call to, while trying to collect some data that you will enter later to the computer. Bearing this in mind, the hiring managers will ask you a few personal and behavioral questions. They do it to understand your motivation, communication skills, as well as your attitude to work, people, and to life in general. Let’s have a look at some of the questions. This job isn’t special in any means, and it makes no sense to try to convince the hiring managers that you have always dreamed of becoming a data entry clerk :). 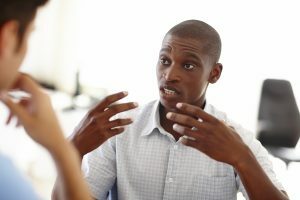 But it is a decent job, it doesn’t pay badly, and if you happen to type fast, and enjoy working at a computer, it can be a good choice for you, at least in certain stage of your professional career. And this is exactly what you should focus on in your answer. 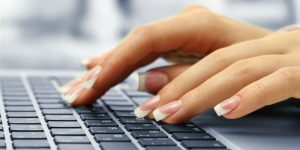 Say that you enjoy typing, that you are looking for a job that is relatively easy, and believe to have the skills and abilities to become a good data entry clerk. This question is easy in many other interviews (think teaching, nursing, marketing, etc), but it can make your head spin, when you apply for a data entry job. It is hard to make some impact, to change the world having this position. It is even difficult to see any meaningful purpose in this job. Therefore you should either refer to simple things, such as a good collective of people, or sense of responsibility (you always give your 100%, doesn’t matter if we speak about job or any other aspect of life). Another option is to be honest, and say that money motivates you the most. But you should refer to some worthy goal when talking about money, such as providing for your family, or paying for your studies. At the end of the day we all have to pay our bills, and we need a job to do so. Everyone makes mistakes. The difference between an average and an excellent employee is that the latter cares, trying their best to minimize the number of mistakes. Tell the interviewers that you will always concentrate on your job (and won’t check your phone every five minutes), and believe that once you gain some experience, you will eliminate almost all mistakes from your work. Ensure the interviewers that you are used to spend hours in front of a computer screen, or any other screen. Since an average American spends more than 4 hours a day on their phone, and even more watching TV, we should have no problem sitting in front of a computer, entering data. You can even elaborate on your answer, staying that you had a similar job before, and that you can maintain a high level of concentration for a long period of time. Job hopping is a big problem in this business. Once we were in economic crisis, it was easy to find new data entry clerks–becasue many people looked for jobs, and they were ready to accept basically anything. Times have changed, however (and no doubt they will change again, when another economic crisis arises). Now employers have to fight for job candidates, and when they hire someone, they want them to stay for a long time. And this is exactly what you should say in an interview. You do not necessarily have to lie, saying that you plan to do data entry for ten years. You can simply say that you are not thinking about any change in a near future, and will see what the next years will bring. Needless to say, you do not need to stick to your promises later on. You can leave the company in three months, as soon a as better offer rings your mailbox. But once you interview for a job, you should say things they want to hear from you. Describe a time when you were under pressure in work. How did you handle the pressure? Describe a conflict you had with one of your colleagues. Why did you have this conflict, and how did you address it? Tell us about a goal you achieved recently. This job is repetitive, and can be boring. How will you ensure that you stay motivated every day? You will still have to demonstrate motivation, and your readiness for the job. Practice your typewriting skills, and prepare with the answers from this article. It is the best thing you can do to improve your chances of succeeding in an interview, and signing a new job contract. We wish you good luck! How to answer interview questions – It is not only about what you say, but also how you say it in an interview. An interesting insight on the topic of non-verbal communication.